It’s all too easy for both humans and dogs to get a little overweight with a few extra inches round the tummy. The PitPat activity tracker is designed to help dogs (and their owners) stay healthy and fit. Andrew from PitPat explains more. 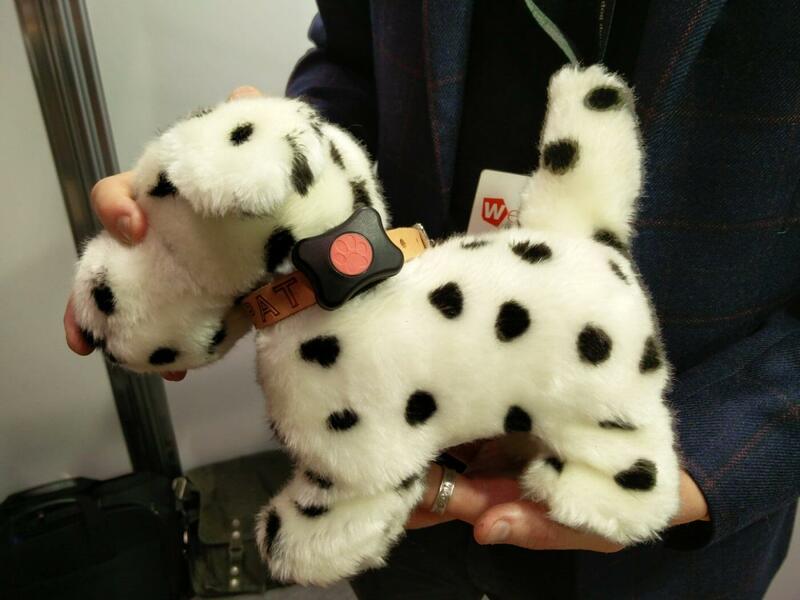 Around the size of a matchbox, the lightweight PitPat attaches to the dog’s collar using Velcro and records the animal’s activity throughout the day. Given the breed and age of dog, the PitPat app (free download from the Apple and Google app stores) shows suitable activity goals. Pressing the tracker’s orange button transmits the data to the owner’s smartphone and the app shows the owner what the dog has been doing and whether the goals have been met. Future enhancements to the app will let owners share the activity with friends and social media networks. The PitPat is waterproof for splashing around (IP67) and the user-replaceable battery will last about a year. The PitPat has been on sale since January and is available from pet shops and on-line for around GB£40. Cuddly toy not included.